​paranoia, dizziness and many more. “Chocolate, just like sugar, elicits an opiate reaction within the brain that trips the dopamine receptors and gives us a pleasure response…I don’t mean to say that chocolate is a drug. However, it is untrue. In fact, chocolate is unhealthy and toxic for your body. You will hear that raw chocolate is packed full of minerals, such as magnesium, iron, copper, zinc. They also say that it contains flavonoids that are supposed to help deal with any damaging free-radicals in your body. With all these wonderful nutrients and their seemingly great benefits you would think that it is some kind of wonder food. Yet, it isn’t. Why chocolate is unhealthy for youIn both the raw and roasted state, the cacoa/cocoa bean has an unpleasant taste due to the presence of a number of alkaloids, which include theobromine. This alkaloid is very similar to caffeine and is a known toxin for dogs, cats and other pets. With chocolate being a stimulant, when it enters your body, it makes your adrenal glands go into what is called the fight or flight mode, and they begin to produce stress hormones. This is because anything that is a stimulant is interpreted by your body as being an invader (toxic substance) and so a threat to its well-being. So your body naturally wants to try and expel this foreign and unwanted/toxic substance as quickly as it can! Just as with the caffeine found in coffee, after experiencing the so called “high”, your body will eventually hit a low. This is because it would have expended a good deal of energy in its attempt to try and rid itself of this toxic substance. This natural reaction to eating raw chocolate will fatigue your adrenal glands and thus impact negatively on your health. 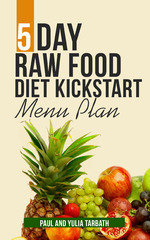 When we both switched to a raw vegan plan, we stopped eating chocolate. We did try it at parties in the beginning a couple of times and we did not feel good so we soon decided to stop eating it. It’s been around 5 years since we last tried chocolate. Well, they are not going to promote your health! If you fancy that ‘chocolate taste’, then you can use raw carob powder as a great tasting alternative. A safe and non-stimulating substance, it is derived from a fruit and tastes very similar to chocolate and is scrumptious with smoothies and desserts. What are your thoughts on this? Please share below! (2) Howell, L.L., Coffin, V.L., Spealman, R.D. Behavorial and physiological effects of xanthines in nonhuman primates (1997) Psychopharmacology, 129 (1), pp. 1-14. (3) William Gervase Clarence-Smith (2000). Cocoa and Chocolate, 1765–1914. London: Routledge. pp. 10, 31. (4) Irwin J. Polk (1997). All about Asthma: Stop Suffering and Start Living. New York: Insight Books. p. 100. How Much Fruit To Eat On A Raw Vegan Diet? Glycemic Index And Glycemic Load: Are They Relevant To Your Health?